Place of Birth: possibly Atlanta or Roswell, Georgia, U.S. 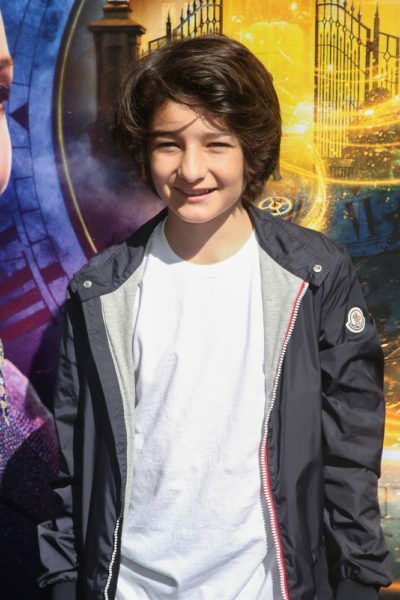 Sunny Suljic is an American actor and skateboarder. He stars in the drama film Mid90s (2018), and the horror films The Killing of a Sacred Deer (2017) and The House with a Clock in Its Walls (2018). It appears that his father is a Bosniak and his mother, whose family is from Russia, is of either partly or entirely Russian Jewish descent. are his bosniak ancestors muslims? I think his father is Muslim and his mother is Jewish. What made you connect his mother to Russia? Why can’t his parents be listed? Eh, I’ll wait until his parents are listed in some newspaper or online interview, etc. Based on their facebook profiles, his maternal grandparents appear to be Russian Jews, although it’s possible they’re of mixed Russian/Jewish ancestry, like many Russian immigrants. Their Russian Facebook friends or relatives are all Jewish, though. I found them too. Yes, there’s definitely Jewish influence there. I think his father was Croatian though. He has a picture of himself in front of a World Cup car with the FIFA logo for Croatia added onto it. I don’t know, Suljic is described as a Bosnian surname. I don’t think it’s that simple as him having a “Bosnian” surname makes him more likely to be Bosniak. What mainly differentiate these groups (Serbs, Croats, and Bosniaks) is religion, not “ethnicity” or language. And there are Croats in Bosnia anyway (but almost no Bosniaks in Croatia). I just don’t see why he would have the Croatian flag on his picture like that if he was a Bosnian Muslim, these things are not trivial in that part of Europe. But I might be wrong. I am looking at the right profile, right? That is his father with the Croatia logo? This page says that Suljic is usually a Bosniak last name.